Discover the ideal food for your health and that of the planet: vegetarian, locally sourced, seasonal and chemical-free. And, if you are so inclined, chart a path to your own orchard of peace. Spend a day opening your heart to sustainable farming, and have an organic lunch, at our 5.5-acre certified organic farm 60 minutes from Delhi and 45 minutes from Gurgaon. Not really far, but light years from the city. Urban consumers should not just be customers of the organic farmer, but allies sharing the same values. To further the development of a ‘socially intelligent’ community thinking alike on on democracy, ecology and sustainable living, we welcome you (upto 5 people in a day) to experience a sustainable farm life in its entirety as well as share our home-grown meal. Rupees 2,000 for an adult, and Rupees 1,000 for a child below 13. Please call 9810032223 to chat, and reserve a day. Reach Aman Bagh at 11 am, and after an unhurried acclimatisation, set off on a agroecological-walk around the farm guided by Harsh Singh Lohit. Depending on your inclination and stamina, this could take 1 hour or 2. 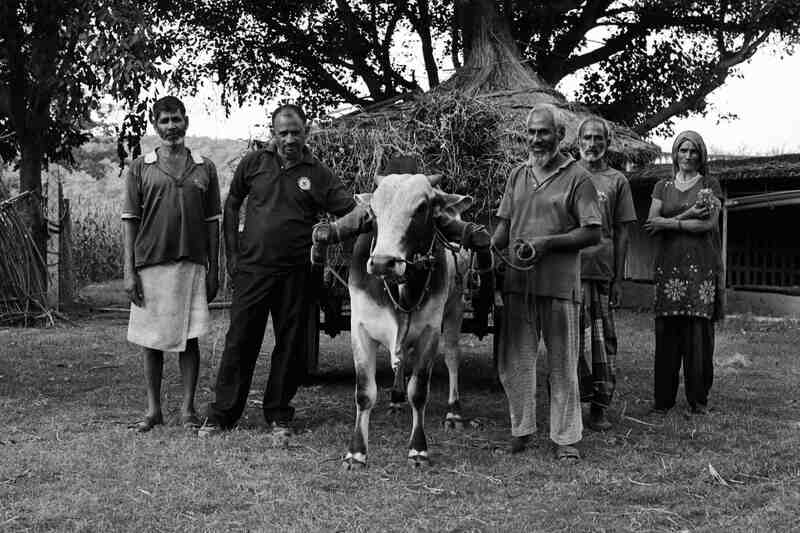 You will be introduced to organic farming and to the sustainable methods that north Indian peasants followed over millennia (till the chemical-induced Green Revolution of the Mid-Sixties), and to the approaches we have adopted from around the world including from Permaculture. Examine our biogas plant, Indore-method composting, desi cows and bullocks, perennial orchards of guava, lemon, kinnow, mango and other flowering trees, and annual fields of vegetables, cereals, oilseed and lentils. Come to understand the natural rhythm of the seasons and crops, and how we feed our soil and grow healthy food. At 1:30 PM, sit down traditional style for a farm lunch in our open air ‘dining area’ surrounded by nature, wandering chickens, a shy calf and a gentle dog. The meal is cooked without any oil added, using appropriate spices and ingredients where the true flavour of the organic produce comes through. And you can always add our own desi ghee. All the ingredients for the meal are grown on the farm, which makes the meal unique. 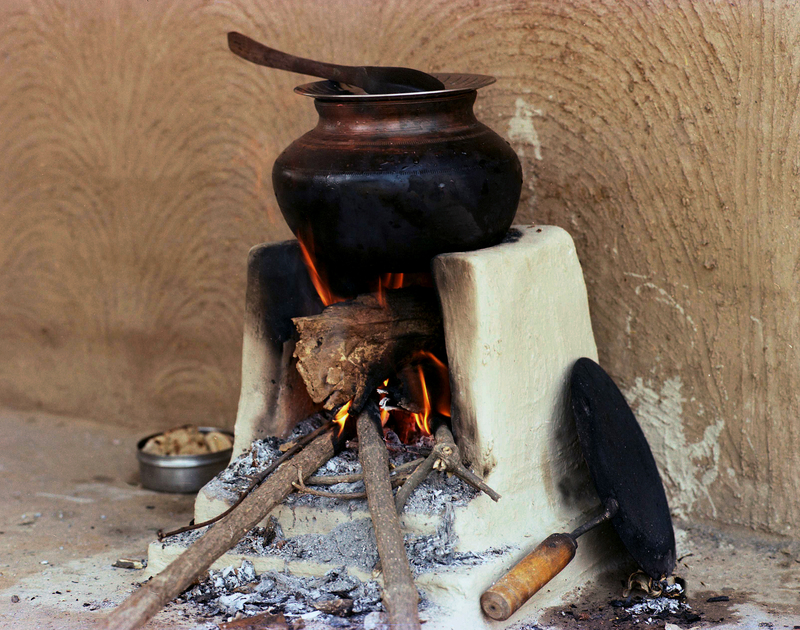 The meal (in winter) comprises of saag (greens simmered for many hours, including spinach, mustard, chana, fenugreek) and in warmer months kadhi (a yogurt based dish); a dal (lentil) of one kind or mixed; a seasonal vegetable ranging from carrots, brinjal, cauliflower, potato, to papaya; Rotis made either from Bajra (Pearl Millet), Jowar (Sorghum) or Makka (Corn) in the cooler months and a mixed flour from Gehun (Wheat), Jau (Barley) and Jayee (Oats) in the warmer. Along with this, you will be served achaars (pickles) made at the farm with in-house ingredients when available or from certified organic spices when not: nimbu (lemon), narangi (mandarin orange), aam (Mango), karonda (gooseberry), haldi (turmeric); and a salad of seasonal vegetables. Dessert is roti with shakkar and gur (jaggery) from a friend’s organic farm, with as hearty a helping of ghee as you’d like. After lunch, laze around or explore the farm on your own. Chat with Harsh about his journey from MBA corporate warrior to farmer, and with farm supervisor and peasant farmer Abdul Sattar about his many stories about the changing face of farming in the villages of this Aravali region. At 4 PM, have a cup of desi milk tea and stay on till dusk (around a bonfire, if you’d like). 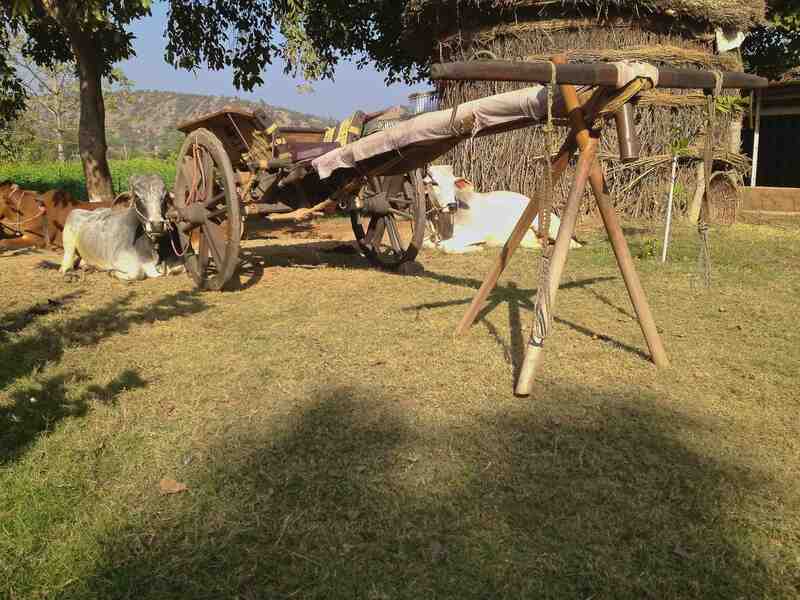 And plan to come back to reclaim your memories of this day at Aman Bagh, with new questions and a renewed desire to experience rural India the way it was before thoughtless modernity destroyed the carefully built ecosystem of our ancestors. We request you come in one vehicle. Please be conscious that Aman Bagh is a small working farm and not a restaurant, picnic spot or B&B. We will, nevertheless, ensure that your visit is a memorable one. Let us know about your food restrictions – vegans are more than welcome. Pet dogs or cats are not allowed. Please drive very slowly through the small village of Mangar that you will pass through 2 kilometers before reaching Aman Bagh. 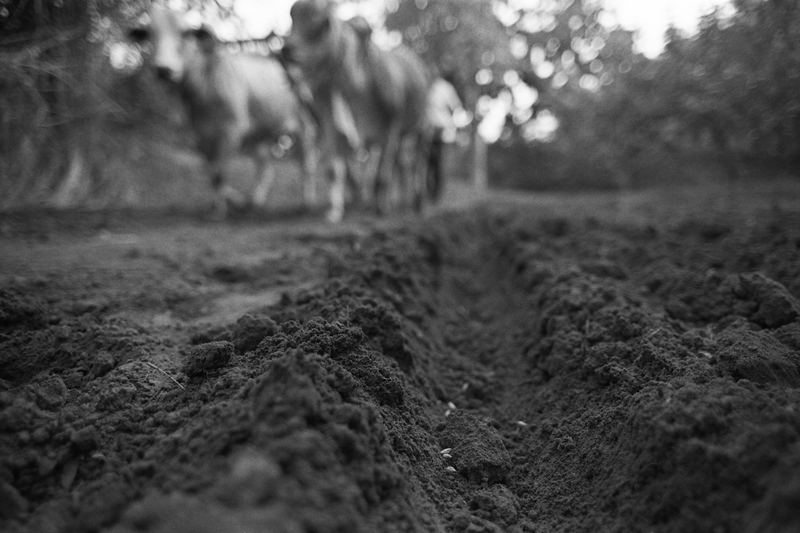 There are women at work, small children at play and cattle that you will need to watch for. While children are most welcome, they must be chaperoned by parents or adults while on the farm as the land is undulating. You must let the children know of the possibility of a mishap if they are not careful. Alcohol, noisy behavior, loud music are a no-no. Please respect the peace and quiet of the farm, and the life of the farm animals. Please wear outdoor gear to enable a comfortable walk around the farm: sports shoes are a must wear, as are comfortable clothes appropriate for the farm walk. Our water source is an underground aquifer, and has been tested at a laboratory to be drinkable. You are requested not to bring plastic water bottles, unless you are an overseas visitor. In that case, please carry the bottle back with you as we have no means to dispose of plastic. If you bring any other non bio-degradable materials, please do carry this litter back to the city. Aman Bagh’s soil has been pesticide and chemical fertilizer free for ever, and we have worked hard since the beginning of 2012 to add to the fertility of our soil and to the diversity of the flora and fauna. Our location near village Mangar is quite spectacular, in a remote and as-yet undiscovered valley surrounded by the low hills of the Aravali. Just (14 kilometres) 45 minutes from Gurgaon and (30 kilometres) 1 hour 15 minutes from Qutub Minar in south Delhi, Aman Bagh is especially bountiful and welcoming from the onset of monsoon in July till the start of summer in May. The ancient Mangar Bani, a rare 200 hectare forest of indigenous Dhau trees, is 10 minutes away. The rocky, semi-arid hills of Mangar and Dhauj where Aman Bagh is based lend themselves greatly to hours of trekking over scrub, rocks and deserted open cast mines in solitude. Protected by Supreme Court judgements since 2003, these hundreds of acres are a testament to how nature can regenerate if left to itself free from human intervention. Aman Bagh’s land is undulating and on multiple levels, ideal for ploughing by bullocks. You will be lucky to be there during the sowing months of the Kharif (May-June) and Rabi (October-November) seasons to follow our hali Momi as he gently guides our desi pair of strong Hariana Balad (bullocks) to ready the soil for planting like his ancestors have done for hundreds of years in this very same area. In December through March, see the mustard and wheat crops ripen and enjoy the many lentils, vegetables and fruits that slowly come out of winter hibernation. Aman Bagh provides employment to marginal peasants from nearby villages, and has a happy combination of religions and castes working together re-discovering and experimenting with our artisanal farming methods. 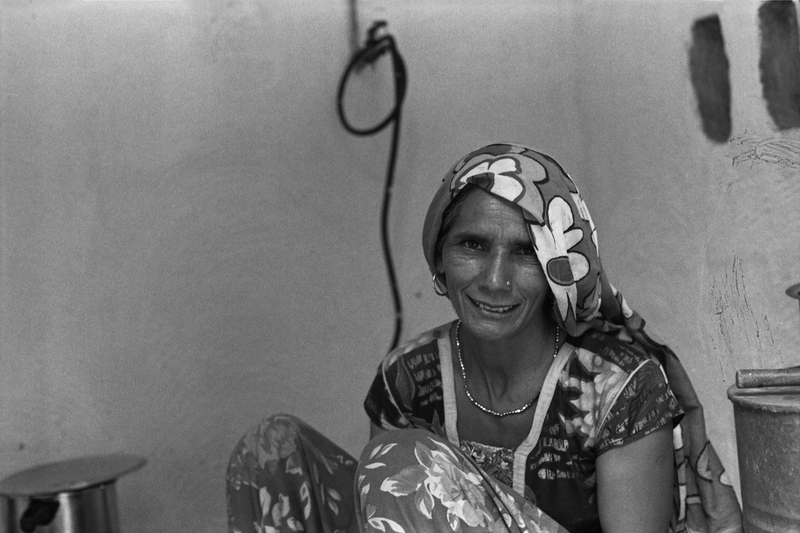 They form the Aman Bagh community, and share a relationship of trust, togetherness and Insaniyat.